Handforth Garage is based in Handforth near Wilmslow, Cheshire. We are a family run business for over 30 years, Handforth Garage specialises in MOT Testing, servicing and repairing of all makes of vehicles. We hold a large range of Tyres, batteries, exhausts, brakes and clutches to fill the repair needs. 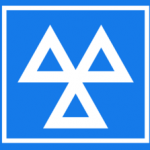 Handforth Garage is regulated by the Retail Motor Industry Federation and our mechanics are all qualified to carry out MOT testing and full range of repairs. Handforth Garage runs a sister company with REDWOOD NORTHWEST LTD which offers the purchase and sale of a wide range of used, warranted cars. We are conveniently situated in the center of Handforth near the main A34 and also Handforth train station. We are close to Wilmslow, Alderley Edge, Poynton, Prestbury, Heald Green, Cheadle Hulme, Wythenshawe, Stockport, Cheadle, Gatley as well as further afield.